We know that local businesses can play a big part in raising local literacy levels because they have the resources, reach and local knowledge to make a real impact. 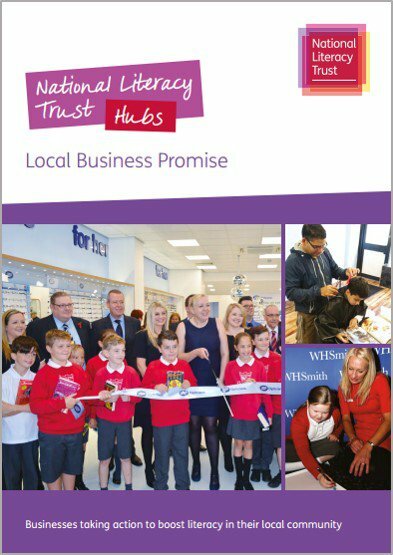 That’s why our National Literacy Trust Hubs, which use local energy to tackle local literacy problems, are launching local area promises. Why should local businesses get involved? Getting involved in the literacy campaign in your area will position you at the forefront of businesses taking action on this important issue. A chance to join a national business network committed to raising UK literacy levels through the Vision for Literacy Business Pledge. Find out more about our local area promises by emailing hubs@literacytrust.org.uk. The National Literacy Trust Hub in Peterborough is branded Peterborough Reads. The National Literacy Hub in Middlesbrough is branded as Middlesbrough Reads. The Stoke-on-Trent Literacy Hub is branded Stoke Reads.